Thanks for all your prayers. I am back home safe and sound. We drove five days cross country with our dog, Gracie, but she was great through it all. It’s weird, but it already feels like a long time ago. I miss the grandchildren and the warm weather, but I am excited to be offering some new things in the next few months. First, I’m going to be doing a two-session class on the topic of Getting Rid of Your Negative Emotions Faster. If you have problems with letting go of anger, hurt, impatience, resentment, and anxiety, you will want to be a part of this class. Click here to be the first to receive details on this exciting class. I will be doing a free webinar on The Emotionally Destructive Relationship: Seeing it! Stopping It! Surviving it! Details coming soon. Let me ask you a question. Do you have people in your life who will tell you the truth? I do and am thankful for that. Remember the childhood story, The Emperor’s New Clothes?No one had the courage to honestly tell the king that he was naked. What happens in our lives if we have no one who will honestly speak the truth? Everyone of us can become hardened and blind to the deceitfulness of sin (Hebrews 3:13). Friends, we are not only called to be truth seekers but truth tellers. We do our friends or spouses no favors when we collude with their self-deception that all is well when they are walking around naked and deceived. The Bible tells us faithful are the wounds of a friend (Proverbs 27:6). Yes the truth may hurt, but it also heals. Remember in last week’s blog I said in order to get healthy we have to stop pretending and learn to walk in the truth. This week’s question: My husband has had two affairs, he throws things when he’s angry, abandons me for days at a time after an argument and now has just completely detached himself from our family. He also lies about his whereabouts. I want to be the wife God has called me to but I can’t continue this way. My husband always says he is sorry and will change but these behaviors continue to resurface. Please help. Answer: I think the first question you must settle is what kind of wife do you think God wants you to be for your husband? Is it a wife that allows herself to be abused, abandoned, lied to, and cheated on with no consequences? You say I can’t continue this way. I don’t blame you. No one would want to be married this way. But I think your dilemma is that although you can, with God’s help, be the wife that God wants you to be, that doesn’t guarantee that your husband will become the husband God wants him to be or that you want him to be. But the question remains, what kind of wife do you think God wants you to be here? Do you think he wants you to be passive and continue to live with a man who lies to you, cheats on you, leaves you and scares you when he’s angry? Or, might God be calling you to love your husband in such a courageous way that you boldly confront his sinfulness, refuse to accept his excuses, and if he wants to remain married to you, require him to show that he’s repentant and truly wants to change. His words are meaningless. He repeatedly lies. If he wants to be married, it’s time that he take specific and consistent actions steps that demonstrate that he’s serious and willing to work hard to change. What might that look like? For starters he needs to get some accountability partners that will help him stay honest, engaged, and sexually faithful. He needs a plan to help him learn how to manage his emotions when he’s angry or hurt so he doesn’t get destructive, deceitful, or disengage for long periods of time. Obviously he hasn’t been able to change these habits by himself so he will need to get professional or competent pastoral help to learn how to deal with his emotions and understand why he does the things he does. These changes do not happen quickly or painlessly, but with God’s help, are possible for the person who is committed and teachable. I think you fear that if you hold your husband to these necessary changes and he refuses, then what? I’m going to tell you the unvarnished truth. Your relationship is broken. You may stay legally married, you may even still live together but you cannot have a good marriage if your husband will not change. We only have to read through the book of Jeremiah to see how God longed for Israel to repent, to come to her senses and change, but she would not. God loved Israel, but He could not and would not have a close and intimate relationship with her until she was willing to change her sinful, adulterous, deceitful ways. God knows what you’re going through. Let him empower you to be the wife he wants you to be and the wife your husband most desperately needs, which might be totally different than you think. You don’t have to live this way anymore. Friend, in what ways has God helped you be the wife He wanted you to be? As part of the community, you're automatically enrolled to receive my email newsletter twice a month. Every two weeks, you'll be encouraged and challenged with practical, biblical and life-changing truths that will help you in your life and in your relationships. You'll also learn what's happening in my ministry, where I am speaking, as well as receive news on special free offers. Oops so funny an error in my reply shows too! lLove all the lessons shared here. Wish I’d have heard them much sooner than I finally did. I might have moved forward faster. I ask God for His special blessing to keep us connected to Him the avenues that point to His ways. I do believe all things happen in God’s time, He’s my teacher, along with all the disciples He blesses. Leslie all of us following this site need to learn to walk closely with Him. God’s always been at my side, yet I was not ready to walk with Him in truth. How true it is,“when the student is ready, the teacher will appear.” I was not my ex-husbands teacher but thank you God for being mine and allowing me to share both my pains and triumphs. I sincerely apologize to You Lord as I walk forward to accepting the life You have in store for me. Praise, honor and glory to your name. Amen. This is SOOOOO true and we need to be reminded of it so many times–especially in the faces of so many well-intentioned people-helpers who pile more responsibility on the wife and miss the fact that her husband needs confrontation and accountability!!!! I find myself to be too willing to hear what I could do differently because if I can do something to change things, I can do something about that, and we can make progress. If change is required from him, I am helpless. Then, when it doesn’t work, I become discouraged all over again and feel angry towards those who told me I could change things. Recently, I have come to the conclusion that it is arrogant of me to believe that I can change him when he is not going to the deep heart level. It still is really difficult to accept that I have done all I can do and that he may never be the husband that he should be……. Survivor, I identify with so much that you said. I read that over and over. Isn’t it amazing how easily we believe this? I am sure that we all do it too. Before I knew what was going on in my marriage I read tons of marriage books. “Maybe this one will be able to tell me what to do to fix this.” I would read them, try to implement some of the tips and advice that was given to the wives, knowing instinctively that it would never work with my H. I would give it a shot anyway and be crushed and disappointed when it didn’t work (I had severe bouts of depression). I did it over and over again. I knew that I couldn’t make our marriage work by myself but I kept trying because I knew it I didn’t try, no one would. As you said, “If change is required of him I am helpless.” I detest marriage books (all but Leslies!!) and don’t read them now. I agree, it is difficult when we finally get to the point where we see that we have done everything that we can and realize that he may never be the husband that he should be…BUT we have to get to that point…and then we finally see our reality. We can be free from that intense burden and desperation to fix our spouse. It isn’t our responsibility to fix him, that rests on his own shoulders. It isn’t our burden to bear any longer. I am talking to myself as much as anyone else here. I have been separated for 2 years from my H but find myself entangled once again. Over that past year I have allowed him back into my life and in doing so, I have once again begun to try to fix things, excuse his behavior, and ignore things that should be red flags. I have a lot of work to do to untangle myself again. But now you “see” it. That keeps false hope alive – that perhaps if I can make it about me, then I can try harder to do something to change him. You’ve tried that and reality has hit you smack hard in the head. You can be a better wife, you can be a perfect wife, but that doesn’t change him. Only he decides to change himself. False hope…..so sad and so true! Islandgirl, I would be happy to connect with you! I prefer not to share my e-mail publicly, though. Lealie, would you be able to give my e-mail address to her, or how does this work? Oops!! Typo!! *Leslie, not Lealie!! What are some helpful ways to engage with an abusive person in the escalating stage of the cycle to help defuse or bring relief without the explosion. Once the escalating stage starts, there is usually little one can do to defuse the explosion. Proverbs 15:1 says a gentle answer turns away wrath and a harsh words stirs up strife” so obviously not screaming back, or yelling, may help. But sometimes being quiet only infuriates the person more. When you ask your question that way you are believing the lie that your behavior can somehow control the abusive person. Obviously your behavior can influence another, but it cannot control another. And,what if being quiet or giving in works in that situation to stop the explosion? Then what the abuser learns is that he or she is not responsible to manage his or her own emotions but its up to you to always accommodate them so they don’t get explosive. Not a good pattern long term. Hi Leslie,thanks for the reply.I agree with all you said but my question was not clear.I don’t believe the victim is able to do resolve the abuse. My question is for people and esp.me who try to speak into the abusers life.I read a lot about the issues and falseness the we face with an abuser.I am looking for ways to bring clarity,truth,repentance,and calmness in the escalating stage where it may have a more deep reaching heart changing result rather than hearing the “false humility and repentance?”- which is usually more self pity than caring about how the victimwas treated- that is in place after an explosion. Tim what I am saying is during the escalating phase usually is not the place where the escalator is ready or willing to hear the truth. They just want to vent or dump or vomit their negative emotions all over you (the victim). However, in the honeymoon or “repentance phase” – if indeed there is one, that is the time to speak the hard truth that “this behavior of yours is a pattern and I am no longer willing to allow myself to be treated this way. If you are truly sorry then get some help to control your emotions when you are upset so that you stop hurting those you say you love.” That will then show them that you are done repeating this cycle. I think what I hear Tim asking is not from a victim’s point of view, but from a people-helper’s point of view. So, after the victim has confronted the abusive spouse and told him to get help to control his emotions when he is upset and the abuser is now seeking help, what does that look like and how can the cycle be broken? If Tim is a people helper, what would his role be? Correct me if I am missing what your question is, Tim…….. Sometimes if you are the counselor or authority figure, if the abusive spouse is escalating you can turn to him and say “Right now you are escalating and becoming abusive. I’d like you to stop and reflect what you are doing. He or she may do that and if they do that’s great. They may try to blame shift to the spouse to said something they didn’t like – or you who said something they didn’t like. It’s important for you to stay calm and non shaming – you could say, “I certainly can see you are hurt or upset by that but is anger and intimidation your only choices to express how you feel? What other things can you do when your start feeling like this. This puts the responsibility on the abuser to take control of his own feelings, tongue, and behaviors instead of feeling “helpless”. That may help. Thanks Leslie,I have done some of that and of course the response is not always the same.There is a lot of info and books on helping victims,but almost nothing on ways to bring real change into the life of the abuser.Is this a new field or is because they refuse to engage voluntarily,and resist when help is brought to them?In this situation he wants to be changed but is not willing to do whatever it takes “the hard work and long process”. The typical quick fix and now everyone should forgive and see how different he is, which is already the same old stuff,has been the track record.I find it so amazing how similar all these guys are,and yet we can’t find a way to cut through it.If they all are the same,seems like there should be a sensible way to deal with all of them. Tim – there is no quick fix, just like the person who is overweight wants to lose 100# by tomorrow without having to give up their favorite fattening foods, the abuser must understand and accept that change requires him to do the work, to reorient the way he sees himself and his wife and to learn to behave differently when he gets stressed, anxious, angry or overwhelmed. If he just wants the perks or benefits of a “fixed” marriage but he’s not willing to put in the required change, the marriage will return to what it was, just like the person who looses 100# gains back the weight because they haven’t dealt with the underlying issues at work. I wish someone would create dvd’s that showed the escalating arguement situation between the couple and then make another dvd of the couple arguing in a postive/healthy way. Some have never seen or had the experience to even know how to express emotions where things are worked through in a better way. I love this question for the change of focus. . . I hate this question for the same reason. It’s difficult to own my culpability. I write from a perspective of over twenty years further down the road from my first marriage. The fruit of the Spirit is bountiful in a good union. But when I examine myself in that twenty years of marriage to answer the question of how I was the wife God wanted me to be . . . most of what I’m reaching for just isn’t there. I know that I had core Christian values going into the marriage. But I allowed his sexual addiction to frame our marriage. I allowed it. I knew it was wrong. But I had just enough Scripture under my belt to justify staying–you all know the ones I’m talking about: turn the other cheek, forgive seven times seventy, submit to your husband, divorce is a sin–I even had the “out” of his adultery, but I never considered that option–I guess it was self-pride: I married against my parents’ will and I was going to stay married at all costs. I guess it was also shame: keep the ugliness hidden. So–a godly wife? No. I was a good mother. I was a good teacher. I worked hard at making a happy home. But I was far too malleable, too immature in my faith, too willing to compromise, too willing to self-sacrifice to be a godly wife. Just too weak. Period. I am so humbled by the stories of so many of you who are currently in chaos but are still growing in your faith, striving for discernment. I rejoice in the many testaments of how God is working in your lives. I rejoice in the power of that tiny mustard seed of faith to grow to give us all the strength to act. And I hope, Leslie, that you will write that book on how to help women see that the feminine powers that are God-given can be an instrument for peace and goodness. There is an old saying, “when the student is ready, the teacher will appear.” Stop beating yourself up that you didn’t know sooner. You weren’t ready to know sooner. When you were ready, you learned what you had to learn and did what you had to do. Now move forward. I came to this site trying to figure out how to apply these lessons to my initial abuser, my mother. At 83 she’s still mean as a rattlesnake sometimes. I’ve mostly been out of her life since I left home at seventeen. Dad enabled her for 62 years while assuring me (from the age of six) that he was going to leave her. Yes, I was played. I’ve had a three month respite and I’m just doing research to be ready to draw boundaries when and if we reconcile. It’s all in God’s Hands. I love learning that I can make me a good daughter, but that I can’t make her a good mother. What a relief! I needed reminding that her ugliness is not a reflection of who I am but an attempt to fill herself up by consuming me. She got to me with “Honor thy mother.” I’m working on what that means–but it surely has helped me to share with others in this process, and be reminded that abuse is abuse–and unacceptable. I can only be abused if I choose to participate. And my participation is only delaying the possibility of her own contrition. And, again, that I can’t change her. I can pray for her; I can stay away for self-protection; but saving herself is up to her. The next hospital crisis will probably be the next interface. I’m prepared to walk in with a loving heart. I’m prepared to walk out the same way if that’s what I have to do . . . leave well. 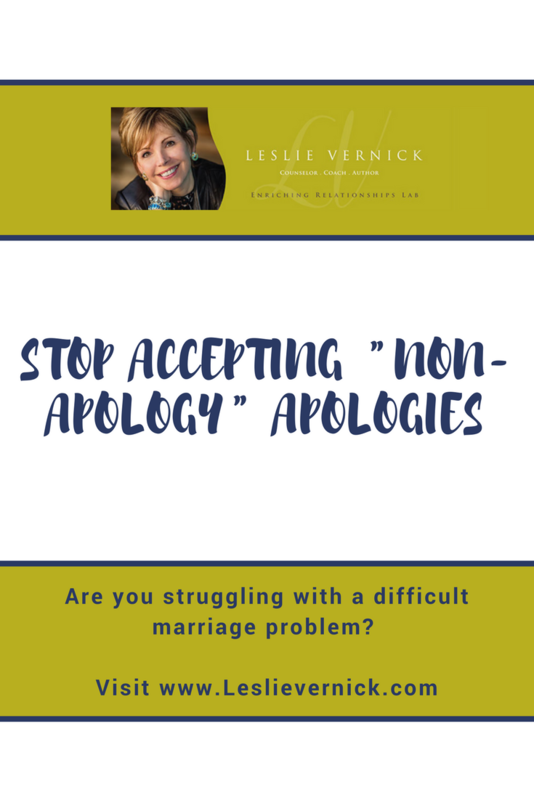 For 24 years, I’ve accepted my husband’s “shifting blame” apologies, trying to be submissive, trying to win him with my gentle spirit, not seeking help or counsel because I felt it was gossip or unsubmissive to go around him. For years, he’s told me that if I would just submit to him, just apologize more sincerely, just accept his leadership, we would be fine. “I’m sorry, but…” is not an apology. It’s an excuse. Agreed, “I’m sorry, but . . . ” is an excuse. First, we have to recognize it for what it is: blame shifting and manipulation. This recognition gives us the freedom to act instead of react. if we are to take any steps forward, we have to look at how we accept the apology: Let it go for the sake of a tenuous peace? Or take a stand for truth by calling him on the falseness of what it is. Steinbeck wrote a short story entitled “The Open Boat” about the struggle for survival in a life boat. He begins by saying that most sailors would survive in a such a situation if they were fresh when they first boarded. However, they have been working for days and nights, past human exhaustion, trying to save the ship. So they are spent when the story begins. Do I honestly think that if I had been a truth teller from the beginning that it would have made a difference in his behaviors? No, I don’t think it would have. But I know he would not have stayed around for twenty years to hear the truth, no matter how loving, joyful, peaceful, patient, merciful, gracious, faithful, gentle or self-controlled the message. I think God does want us to be truth tellers-as wives, as mothers, as friends. He also wants us to be truth tellers to ourselves. The strength to do so takes getting to know one’s Self in God. In this way, we are capable of sharing all the fruit of the Spirit as we stand for what is truth. So, after all of this morning’s thinking, I believe that God wants me, as a wife, mother, friend, to prepare my soil so that the fruit of the Spirit can flourish for the benefit of all of us. . . and with that thought, I’m off to plant tomatoes as the growing season has finally arrived here! p.s. I am reading Keller’s “A Gardener Looks at the Fruits of the Spirit.” His discussion of preparing the soil prompted my conclusion. thanks Susen. This resonates with me. Thanks for helping women realize that to placate is to hurt not only yourself, but to rob the other person of the opportunity to see more clearly what is truly happening. Kim, I agree that the title is not as accurate as it could be – a I’m sorry but is a non-apology. It is excuse making. But it’s hard to capture the essence of a blog post in a few short phrases and I think most people “got” what the gist of the article is about. island girl, that is exactly what my husband would say to me. He acted that way because I was not being supportive of him – usually it was about parenting. I told him very clearly I will be supportive of you in your parenting. But when you start verbally abusing the children, calling them names and scaring them, I will stop supporting you and start defending them. Our biggest altercations came when I intervened in his “parenting”. Well, if calling your kids “stupid”, “idiot” or “spoiled” is parenting, and if coming at your son with scissors because you don’t like what he’s wearing is parenting, then no, I’m not going to be supportive of that. The whole “not supporting me” thing is a lie. they are furious that you are contradicting them. It’s more about control..
Unvarnished truth…healing words!!! I think I’m going to do a line by line exercise for me..when someone puts the unvarnished truth out there I can and have another person honoring me with “permission” to live and see the truth w/o trying to hold the lie in the other hand …as if it’s my responsibility to be his sacrificial lamb!! And sometimes we say we’re sorry simply because we’re sorry we got caught. And full of defensiveness, we have no intention to change a bit. Oh so different than that ‘humble and contrite heart’ that God treasures. It is such a learning process to be able to strengthen up, stand up, speak up, speak with actions and ask for action. That analogy of the Emporor’s New Clothes has been on my heart; instead of others duping the emperor into believing he had clothes when he didn’t, I have lived in the terrible twistedness of my h pretending he had clothes (everything was fine) when he actually did not. He was doing it to himself. It was very tricky to begin to figure out what I could do to break out of that story. Reasoning with him, trying marriage counselling, and so on did not work! It took getting stronger and finding outside support and ideas, wrestling through the pain and accumulated mess, beginning to take some steps to break out of that mold with some consequences and asking for some action, and learning to make simple truth statement and ask questions. I am no longer stuck like I was. . . .So we can invite, encourage and pray for our spouses to repent (while acting right) but the rest is in God’s hands. . . .I was thinking about that this morning, about all the time Moses spent at the University of Silence out on the back side of the desert. Since, as Jesus said, the Kingdom of Heaven is really within us (Luke 17:21), our hurting souls already have the answers they seek if we are God’s child. All learning is just remembering (Luke 17:19-37). Strength through silence (Isaiah 30:15) in God’s presence. Waiting before Him until the mud settles and the stream runs clear. I have now concentrated all my personal prayers into one, and that one prayer is this: that I may die to myself, and live wholly to Him. . . . —-I do know God puts all my words on a plate and forces me to eat them, so I always know what is coming. I would say that the number one proof that you belong to Christ is that you have repented and that you keep on repenting; you keep on examining; you keep on pursuing. I’ll never be anything more than what Christ makes me, ditto our spouses. Thanks for sharing. Sorry but also comforted to know I am not the only one that has had a similar experience. I am puzzled by the spouses that leave. In what I have both experienced and have observed others experience, the abusive spouse doesn’t leave–he would lose control if he left. What is different when he leaves? For me, if I leave I am “persecuting him”, “punishing him”, and “treating him unfairly”, and being “harsh, bitter, and unforgiving”……. I am the one who left our marriage and my husband said these very same things. I agree about the control. It’s hard to imagine them giving it up. Why won’t the abuser leave? I’m not sure if you mean leave the house or leave the marriage. Either of these situations has to do with his survival instincts. He’s getting his needs met right where he is. And he is so very needy–wounded and empty. His very existence depends on maintaining the status quo. We become victims because of our nurturing nature. (Thanks to Robin for that image.) It would seem heartless not to nurture him. But, in reality, when we make excuses for him, etc., etc., we are keeping him from addressing his own consuming needs and consuming us in the process. When we choose to no longer placate (Leslie’s word), he has to escalate because that is his way of trying to reestablish control The least of these escalations is name calling. And those names won’t hurt us if we see them for what they are–falsehoods rooted in evil. God made women physically weaker. I see this as a blessing because we can more easily turn to God as our strength. Men, on the other hand, are conditioned to believe that they have to be strong . . . and right . . . at all costs, sometimes, even at the cost of their souls. My prayer for my former marriage and the father of our children: Please, Lord, I was too weak to be an instrument of Thy Peace for him, for us, so I commend him to Your Keeping. His soul is in Your Hands. Please forgive us both for our failings. Amen. Susen, I was referring to some who say that their husband left when he was confronted with the truth. My H is about control and won’t relinquish that. When I would confront him with the truth, he would get angry and escalate his violence in an effort to elicit from me the response that he wanted. For him to leave would mean him relinquishing that control and he won’t do it. I will have to be the one to leave and then he will play the pity card. People Are sympathetic toward a woman whose husband has left her, but they are critical of a woman who leaves her husband…….. I feared what people would say, would think. I’d kept the ugliness hidden for so long at all costs–and then everybody knew we were divorcing. School was just starting and the district-wide teachers’ meeting loomed. (He was on the school board, yuck.) All the young teachers looked at me as if I were out of my mind to leave such a charming, attractive man. I just kept my chin up. By the end of semester meeting, I had a totally different reception–apparently he’d put the moves on enough of them to show his true colors. Not a word was said, but their attitude change was so apparent. Leopards can’t change their spots. Besides that one, initial reception, no one ever asked me why I left him–only why did I wait so long! He can play the pity card all day long–you’ll be too happy discovering your own life of freedom to even care. And the relief of not having to make excuses for him or having to dodge his abusive presence is exhilarating. I found myself surrounded by a group of friends for the first time in my adult life–I’d never had friends before. There’s so much life out there . . . waiting for you. I promise! Thank you! I praise the Lord for leading me to your website. You have know idea how I have been set free today through these words. God bless you and the work you continue to do! Other than the “throwing things” I could have written this weeks question. I have an appt. with a counselor for next week…I need to get myself ready for separation…it’s going to happen…it has to happen, because I can’t live like this much longer. He will never change. I know that…it’s been 4 yrs since his last affair, and he is still acts the same way that he did then….and his behavior is now getting worse. I don’t trust him at all, and I don’t want to live the rest of my life with a husband I don’t trust. I have an appt. next week, so I want to be prepared….just in case! Lonely wife, I’m not sure I did. I’ll have to back track and see. IS this a marital counselor or an individual counselor? But if you feel that your counselor is not getting it – I would ask questions or give some feedback. Here’s what you could say. “I’m confused. I’m not sure you understand what I’m telling you.” Then repeat what you’re saying or asking. If they are appreciative of your feedback – they lean in, they want to understand, they welcome your correction of their misunderstanding or not getting it – then there is hope. If they get defensive, argumentative, shaming or withdrawn, they don’t want to get it and it’s time to cut your losses and not schedule any more appointments. You can simply say, “I’m not sure we are a good fit.” You are under no obligation to work with someone you don’t feel gets it or gets you. You are the customer – you have the control, even if it feels like you do not. Thank you Leslie…it’s for individual counseling at an area church that is well known for it’s counseling program. 2) She must not just indulge you and allow you to remain broken. . . I have had friends who have counselors/ therapists that just indulge their defenses. They will sit for hours, weeks & listen to them complain about how their pain is manifesting at work, at home, with the kids- who learn these same patterns!, with their way of relating with the Lord God/ their spiritual life and their spouse & within their self psychologically and physically! To me, anyone who spends very long listening to each client complain about any one or all of these “piles” -and they will temporarily feel better because someone is listening- unequivocally, BUT they are doing them a complete DISSERVICE! Their job, as I see it, is to TEACH us, reveal to us–the abilities we already have that the Lord God bestowed to each of us –so we learn how to conduct yourself in a new way. Most importantly (to me): Do not go to a therapist who will just indulge (PLEASING/ indulging) you in the “I am a victim, please feel sorry for me” place. Obviously, you will not get better this way and you will remain blind to the destructive defenses you have been employing & “befriending” for years! -Leslie seems particularly good at avoiding that. Aleea – I think you’ve made some really good points here on working with a counselor who is invested in your healing and growth and not just helping you “feel better”. —Exactly, and that is so important. They will NOT just make you feel better. That would be temporary anyway. They, if they are going to be involved—will, as you say, move them toward growth and healing. That is of vital importance. I know that as we try to run from our past pain, or escape it –without going through that PAIN and allowing God’s love to come in, transform and heal us– then we just repeat it, over and over! But,—we can draw on the Holy Spirit to mobilize the courage, to face the pain we have been so frightened to walk through. So, I encourage everyone, live from that place. Regardless of how people look at you —live from God’s heart and let the Holy Spirit guide you. Everyday, quiet your mind, your heart and look deep, really deep beyond the surface, in prayer, in silence —beyond the people, the bills, the highs, the lows, the quarrels, the “updates” / “statuses”, beyond what everyone around you is constantly talking about: -who are you? Who really are YOU in Christ? –In God? Another way I can think of to convey what I am trying to say in my limited words —is to encourage you, invite you — stop blocking the Holy Spirit of God from transforming you. God’s Love brings healing to the deepest, saddest, loneliest parts of you. Christ can see where all your friends and even your family are blind; your husband may leave, Christ stays behind! —Stop blocking the Holy Spirit of God from transforming you! The Holy Spirit convicts of sin and He brings about godly sorrow and humility, He regenerates and sanctifies. This usually requires a massive hit to our ego (Matthew 6:5,16, James 4:6), at least it did for me. In the old days, I would get my hand unstuck from the bar of my cage but as I moved to the door, the cage would start violently shaking and to stabilize myself, I would grab another bar. So I was still stuck just on a different bar of the cage. . . . .But I would always remember: Oh Love that will not let me go, I rest my weary soul in Thee. I give thee back the life I owe. That in thine ocean depths its flow may richer, fuller be. —1) stop blocking the Holy Spirit of God from transforming you (transforming not managing our sin or being good) —2) since the Holy Spirit was the life-long companion of Jesus, ask the Holy Spirit to be your forever counselor too (John 16:14). . . . “and He will give you another counselor to help you and be with you forever.” . . . The Holy Spirit is our forever counselor! God will give the Holy Spirit to you if you beg Him to (Luke 11:5-13 is a unqualified promise). That is what you want to do, cry out to God until you know He has given you the Holy Spirit. Then let the Holy Spirit lead you as to how you should proceed in your life and relationships, obviously with the help of godly counselors —who, if they are going to be involved—will not allow you to remain broken. . . . The fortune that they leave behind will be in lives transformed and challenged -their stories yet untold. Thank you Aleea…My goal for counseling is to become stronger, and not to be the “victim” and to get my eyes off of my marriage and my husband, both broken, but I can’t fix them so I have to stop trying…and on serving God and living OR leaving well. I will reread everything you’ve written so it will stay fresh in my mind…again, thank you so much! Godspeed to you and I will pray for you, your husband and your marriage. There’s no life or marriage beyond His repair but seek the Holy Spirit’s guidance in all things. The more we are the change we want to see, the more gets changed. To God, you have the greatest value (Matthew 10:31). If you are His, He invested all He had to give you REAL life. . . . How can we have all these dead marriages with a living Christ? We’re putting up with ridiculous sin in our marriages and we need to put a stop to it. Don’t be afraid to follow the Holy Spirit, and pray for an avalanche of conviction of sin. In the light of eternity we will see that what we would have avoided was essential to our well-being. It’s difficult to be the kind of wife a husband NEEDS, not wants! My husband needed strong boundaries before he started to change. It’s still early in the process, but it was not until I had an attorney, and was willing to leave and the Pastor confronted him before he got serious. He is working on change with a Psychologist, Psychiatrist, the Pastor and a counselor. He’s a mess. Now I need to heal from the years of emotional wounding so I can be the wife God wants me to be. I need to live with strong boundaries. If he doesn’t give up like he has before when it got difficult then maybe we’ll still stay together, otherwise we’ll end the sham of a marriage. The difficult part for me is staying strong. I’ve been much to passive all my life. Walking in strong boundaries is not easy. I’m so thankful for this blog and Leslie’s help! The tone of your post is one of such sadness. While you have support, it sounds like you are in charge of monitoring your husband’s healing . . . having to be ever watchful that he is observing boundaries. Who is helping you heal? Can you heal while being so engaged in his needs? Thank you Susen. I am starting counseling this week for me. I was in counseling years ago and but need to heal now. My Pastor, church board and my husband’s psychologist are helping hold him accountable. He’s done some very bad things so I need to stay vigilant. He’s been abusive and I need to be strong and not allowed any more sbuse. I do have friends supporting me. My Pastor and wife also help me. This is a serious problem and I daily pray for wisdom. Love will come as I heal if he doesn’t cheat or abuse again. I can’t stay without change. Thanks again for the prayers! This blog is a God send. Praying for you Loretta P! You are blessed to have a Pastor who gets it..and is willing to help…there aren’t many out there like that! For each and every one of you who have commented on this blog, I would recommend reading “How We Love” by Milan and Kay Yerkovich, to gain insight into your self and spouse and ways you relate. This was the last book, that I only read parts of because I was “done with the books”, but going back to it this week has been helpful. They mention the cycle of frustration (anger), despair, and depression that repeats itself until the person finally detaches from the relationship. They sum up the five types of relating very concisely. The paperback version has a workbook in the back, whereas the hardback one does not. One may read about the five kinds of relating on their website. As Shakespeare said, “Know thyself!” Hope this helps as you work through issues! Debby, I read that book 3 yrs ago after my husbands first counselor suggested it to him…its a great book! My H is an Avoider…big time! Lonely Wife, you made me laugh! My husband is an AVOIDER, too! THE QUESTION IS “How can one get an avoider to do anything?” Well, I think the real question is, “What must I face (or not avoid) in MYSELF in this marriage to improve things?” I pray for mercies, contemplate actions and reactions, know God loves me – AND HIM, remember God has a plan, tell God everything I think (the good, the bad, the ugly), seek to apply His Word to my life, and remember He has a plan. Deuteronomy 8:16 “When His purpose in our life is accomplished, the circumstances will change.” This is a journey and I do not want to despair, so I have found some promises in The Word and am claiming them. Yes it is a good book to understand deeper issues. Yes. And I notice there are some cd’s, specifically addressing how two types of people, ie Victim and Pleaser, interact with their weaknesses, that I don’t recall being offered a few years ago by the Yerkovichs’. Some tough stuff here, but oh so needed. Thank you for being the voice of the “victims” so they will have the courage to remain victims no longer. Thanks, Leslie! Just went to a wedding and H was there. He wanted to sit with me and my daughter and “have fun together” He has not apologized for nasty things he said when the court ordered him to move out. Haven’t seen a heart change. He told me a few months ago we would never get back together because he could not trust me, because I took him to court. There was a sudden death in the family and he just sent me a text saying life is short and he wants to get back together so “I’m asking you to start the process of reconciliation.” I’ve been waiting since we separated, in Nov., for him to show some remorse and a real heart change. He is always expecting me to make things better. How would any of you respond to this? “He always expects me to make things better.” I think you’ve answered your own question: Do you want to continue in this role of the “fixer” for him? Or do you want to go on with your own healing and your own life? To borrow from last week’s question/discussion: a godly wife can make a marriage (or divorce) better, but she can’t make it a good marriage by herself. Since you asked what we would advise, I’ll say take no steps for one year. That will give you time to heal and make a good decision–that will give him time to prove his sincerity for a reconciliation. You might start by asking him why he thinks he’s worthy of a reconciliation. Go back and re-read your journal entries for the worst of times. The pain of those closing remarks at the divorce proceedings is real. I told the girls’ father that I would consider remarriage after a year if he was honorable throughout the divorce. As I’ve said before: he wasn’t. And we didn’t. My prayer is that you listen to that Voice Inside. Even when you see other families all together. Even when you wish there was a man to share things with. Thank you Susen, that was my thought, it has only been 5 months and it isn’t final yet. He has been very angry and vindictive so far. I know he has been struggling financially, as he has to give me support, so I’m wondering if that is his motive and he doesn’t want to look like the bad guy to his family. He is going back to the memorial service and I would love to go but he is looking for support and comfort from me and I can’t do that right now. I didn’t say what happened at the wedding.I said he could sit with us but it was so awkward and he followed us around the whole time. It was a family wedding so he had plenty of other people to be with. I wouldn’t dance with him though. He needs to a heart change before there’s any reason to reconcile. Otherwise you are just going back into the mess you just left. It could also be worse if he thinks you’d just take him back without change. Please be careful. You had the court remove him don’t waste that step of bravery. Prayers for you! I am so thankful for your books, blog & encouragement. It has been a year since my eyes have been open to my destructive marriage. We’ve been married for 17 years & have been blessed with 7 beautiful children. My husband has not “spoken” to me(except for kid stuff)or slept in or bed for the last 2months because I’m standing my ground. We’ve only been to counceling a few times. I met with the councelor/pastor/friend alone & he called his behavior abusive, which was freeing. My entire marriage, if I brought anything to the table that had to do with him or our marriage he would say” poor you, your such a victim” or “if you would just do this or that” everything would be better. But I know now that this doer can not do anything to make our marriage better. I’m burned out! I’ve read all the books & they do not work for us. I now know that I can only make me better. I’m just feeling so weak. He attempted to talk the other night but just wanted to know if I plan on staying mad at him. I’m having trouble verbalizing to him the problem & guarding my heart without appearing to be cold. The councelor told him to sleep in his bed, which He only did for 2 nights & talk to me but right now I feel like he’s just trying to break me & not lose control of me. I’m so thankful to be able to speak & be heard here! Thank you for sharing your stories, they have been so helpful during this lonely time. Kristine, you need to stay firm. 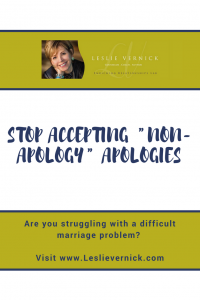 Your husband is operating out of a false belief that marriage means he never has to change, he doesn’t have to be accountable for his actions and if you criticize him or call him out – you are being cruel, picky, oversensitive, or abusive yourself. Marriage is a partnership and when someone steps on your toes, you should be able to say ouch, don’t, stop, and I don’t like that and you SHOULD be heard. When you are repeatedly told you are ridiculous and if only you didn’t do that I wouldn’t act that way, what he is saying is that you are responsible for the entire care, maintenance and repair of the relationship which is not true. Remember C of CORE STRENGTH – I am committed to truth. These men twist reality like a piece of wire. He has also twisted & bent me like a wire to suit his world while nothing has changed for him. I got my massage therapy license a few years ago because he lost his job. But because I got pregnant with #7, I have not worked in the business, which he reminds me of often that it was a waste of money & time and he knew I wouldn’t do anything with it. (He has kept me very busy with his world) So now in my attempt to stand firm, get strong & work, he’s told me not to spend any money on this business unless I talk to him first & he approves. I have a great opportunity to work for a woman from church but because he’s not onboard with my plans I’m struggling moving forward. I’m feeling so stuck again. I guess my question would be how do I get strong & establish myself when there’s very little opportunity to so? Kristine, what is the worst thing that could happen if you just take the job at the church without his blessing? Opportunity, it looks like to me, is knocking. What would saving the money you make and creating your own massage therapy business mean to you? Sure he’ll put up roadblocks, but if you are going somewhere and there’s a roadblock, do you just go home or find a detour? From someone who’s been there. I’m a newbie to this blog, just breathing and trusting! Keep posting and I’ll just keep reading! Feeling a bit overwhelmed right now! Thank you so much for all of your insights and for connecting the scriptures to what I’ve known all along, but unable to take any action, but to position myself and stand! Welcome. I hope you find a warm and loving community here to share your journey with. JustBreathe, it has been overwhelming at times, for me, to read all these things. Relationships are complicated! People are broken! Change comes about S…L….O….W….L….Y! Insight is necessary! Wisdom needs to be applied! Counsel must be Godly!